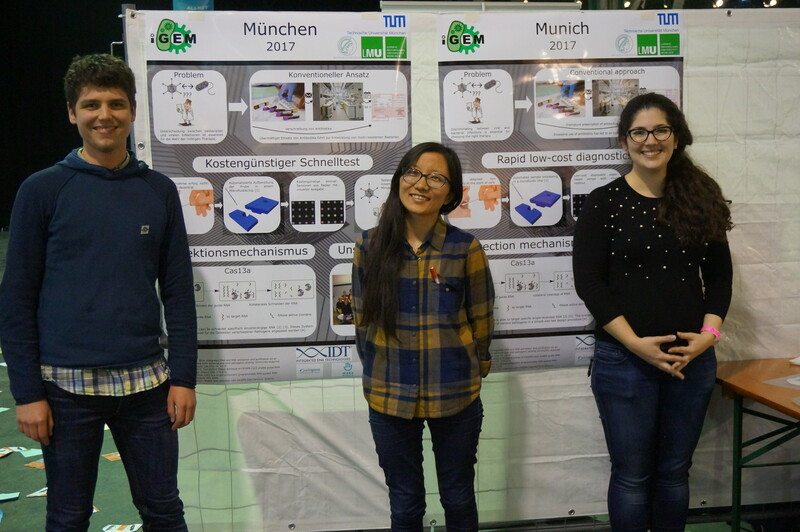 In order to develop a successful iGEM project, it is very important to engage with the community and present them the work we do at the lab. Synthetic biology is a field that is evolving very fast and we need to efficiently communicate with people. Since our project deals with detection of bacterial and viral infections, we think it is important for the general public to know how synthetic biology can change the way we detect such infections. For this reason, we attended as many different events as possible and we made sure that we not only focused on the students and the scientific community but also on the general public. Make Munich is the south Germany´s biggest maker and do-it-yourself tech festival. This was a 2-day event where many innovative, technology loving makers had the opportunity to show their skills in their booths, in talks and in various workshops. This year there were a huge variety of booths and workshops from different categories. Also, the audience who visited the event included young kids, students, and seniors. This event was a perfect event for all kinds of audiences fascinated with technological advances. We are very thankful to the Make Munich team for inviting us to this fascinating tech event. This was our very first public event where we did our first poster presentation and our first public interaction. We got many encouraging comments and ideas on how we could proceed in future. Plus, we also met many tech and synbio geeks who were very kind to give their views on our project development. We also had the opportunity to meet many startups which were based on synthetic biology as well. Plus, we also met some old iGEMers from different countries who gave us more tips on handling our iGEM project. 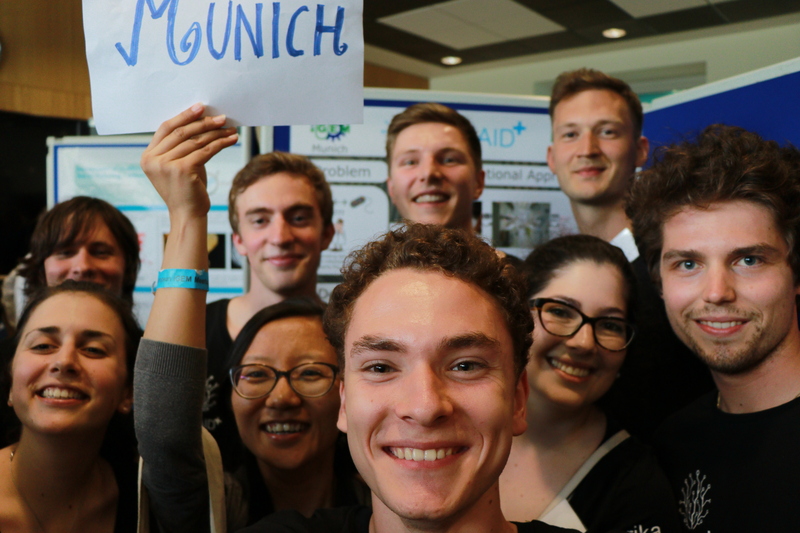 IKOM is a voluntary student organization with 100 students from TUM, who organize career forums, scientific exhibitions and workshops annually. IKOM Life Sciencesis one of such event organized by IKOM where other students can meet different biotechnology and other related companies. 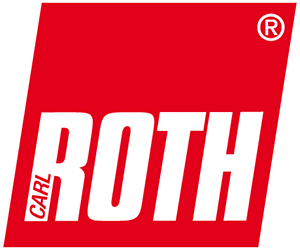 It is highly recommended for all life science students and it is visited by students from all the universities in Munich. This year's IKOM was really interesting with a high participation from different biotechnology, pharmaceutical and consulting companies. We met many companies from different parts of Munich and we also had the chance to talk to them personally. Some of those companies were interested in our work. Also, we had the chance to see what different companies can offer which helped us later to decide which sources to use in future. 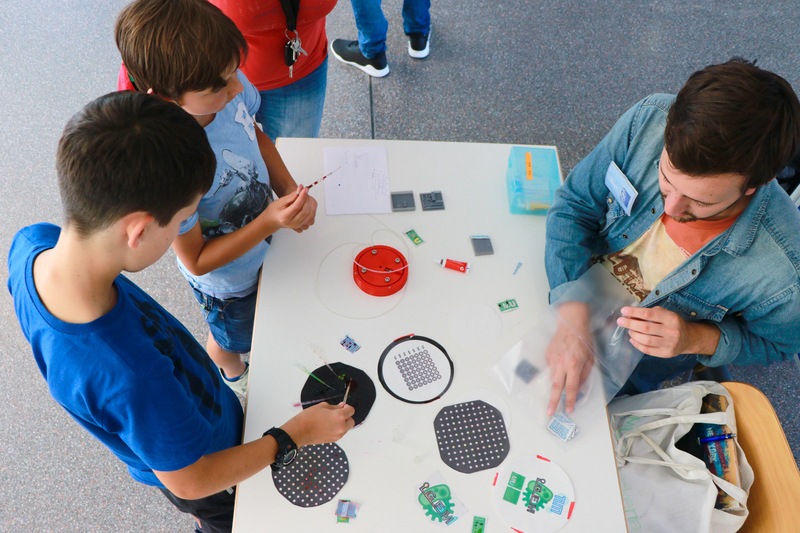 KLJB organized the 3-days camping program with different workshops, presentations and activities for young students from schools and universities around Munich. The event was organized by a local group of youths which were involved in this organization. This is also a yearly event where the students camp there and are allowed to participate in all the events whenever they want as a part of this interaction. 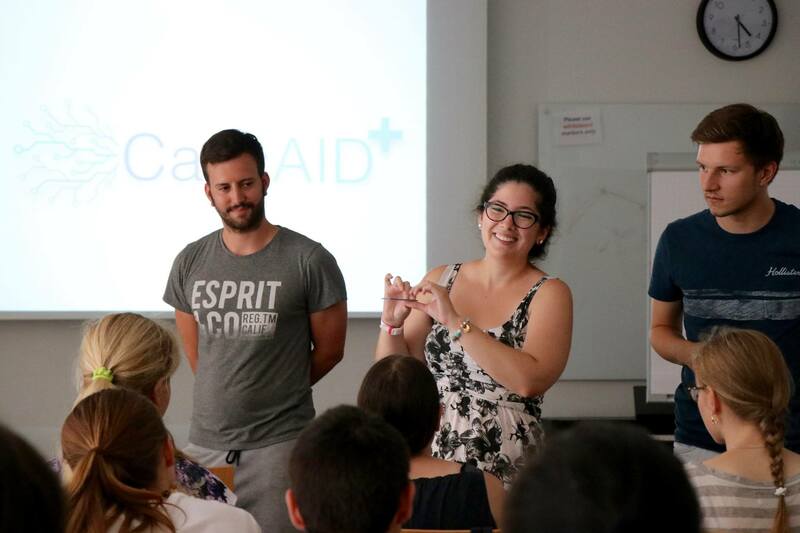 We were happy to give them some insights into our Project and give them an idea about synthetic biology and iGEM. Many were school students and had no idea about this field. 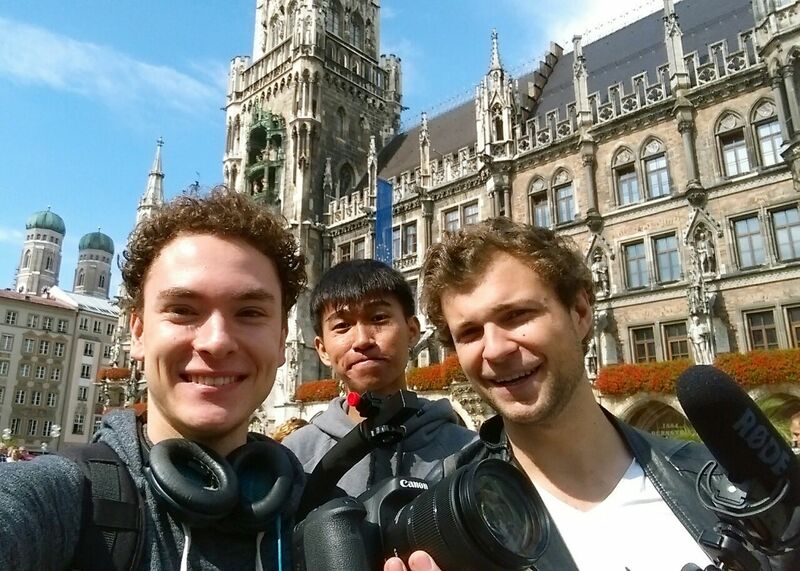 Meetups are a big part of the iGEM journey. They offer teams the opportunity to exchange ideas, start collaborations and get inspired from people with similar interests, but first of all to have fun. 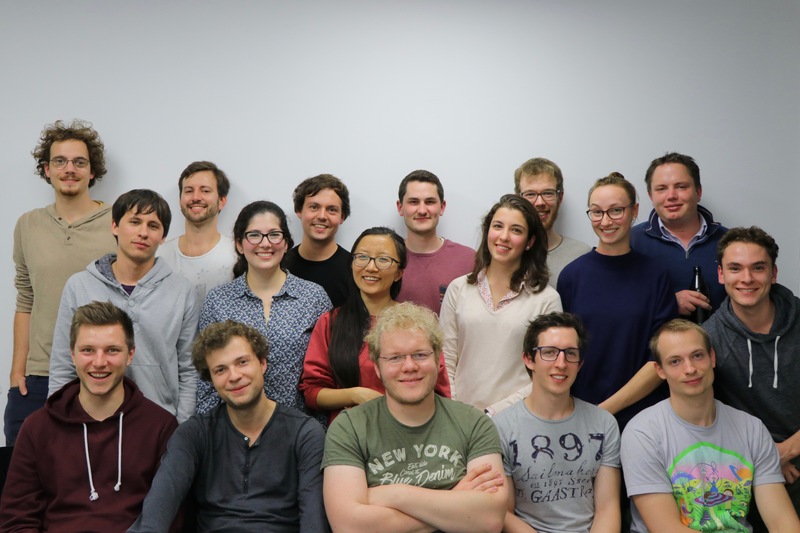 This year’s German Meetup took place in Dresden, where 10 iGEM teams from Germany gathered to get to know each other, as well as each other’s projects. During this three-day event, each team presented their project along with updates on their progress and participated in two workshops: “iGEM goes green” and “Collaboration”. Also Prof. Dr. Thorsten Mascher and Marcel Thiel from Promega gave talks and Prof. Dr. Hans-Georg Braun presented BIOMOD (Biomolecular Design Competition). 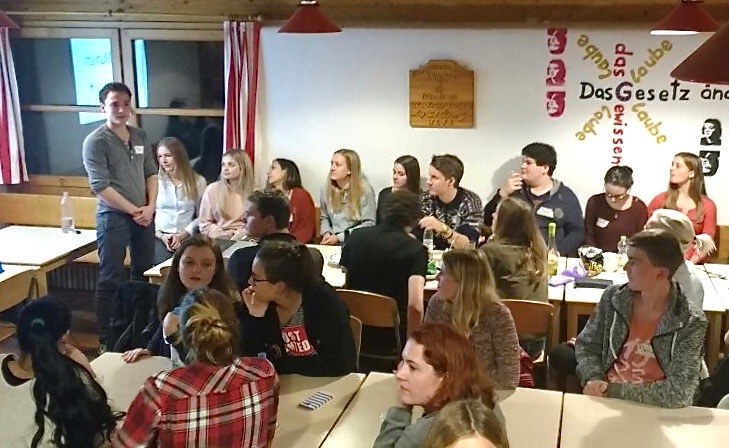 This event would not have been complete without doing a sightseeing tour around Dresden, party and a bunch of different games to get to know each other. We left Dresden with new collaboration partners, inspiration and great memories. 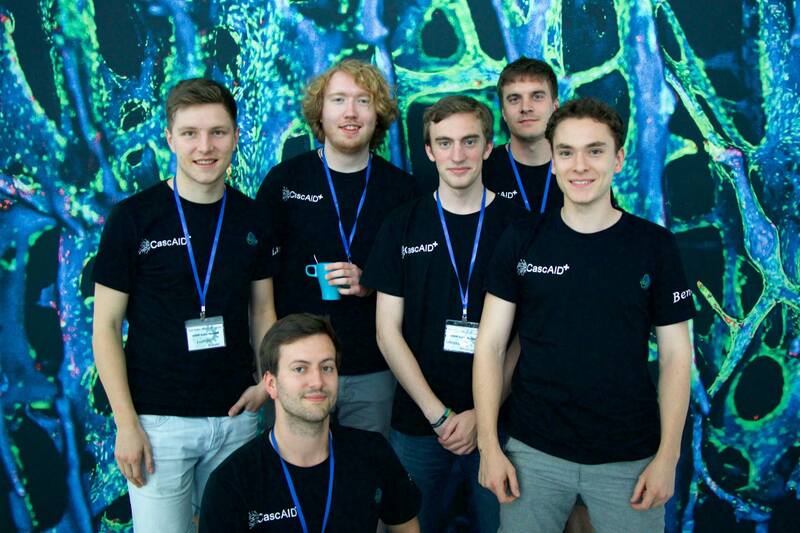 This year the European Meetup was hosted by Team TU Delft, where 33 European teams participated. The event included presentations from Prof. Cees Dekker, Prof. Denis Murphy, and Dr. Dirk Stemerding. This was followed by a 2-hour poster presentation where we learned about the projects of the other iGEM teams. 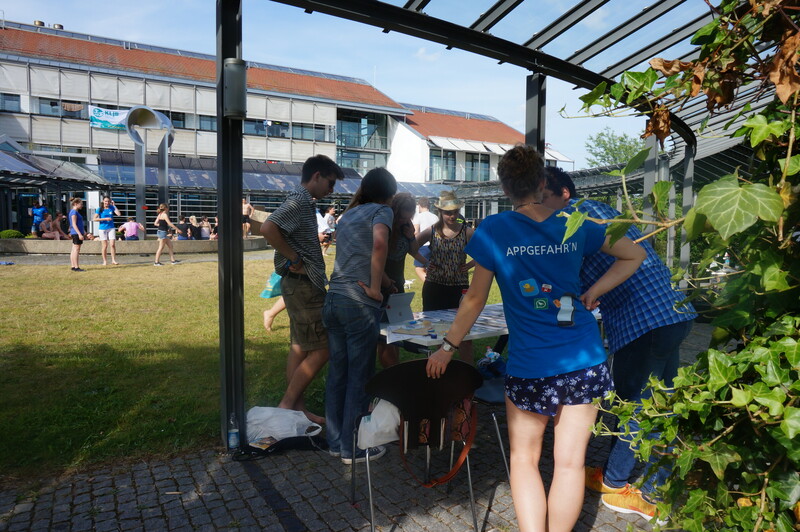 We also went to a BBQ where we got the chance to talk with other students and exchange ideas about our work. The open house day at the LMU Biocenteris an annual event that provides opportunity for everyone to come and experience the features of biological sciences. The Faculty of Biology at the LMU hosts this event for potential students, neighboring residents, and all interested citizens. In addition, the faculty also displays different research projects done at the Campus in Martinsried. This year, we had our own stall in the Biocenter along with other research groups from the LMU. 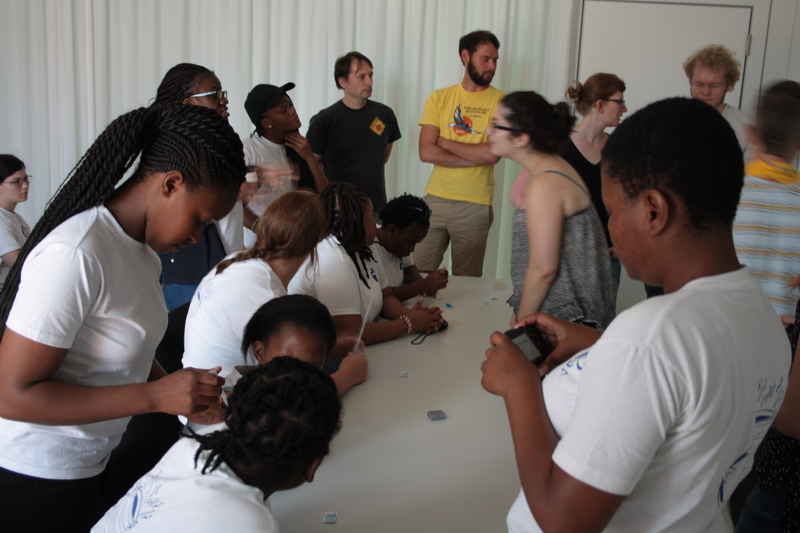 Some scouts from the Girl Guides South Africa came to visit our lab. It was a group composed of 5 instructors and 10 high school students. We did a poster presentation where we explained about the iGEM competition and synthetic biology. We also showed them the prototype of our device and explained them the concept and the inspiration behind our project. They were very interested in knowing more about working in the field of science and our motivation why we chose to take scientific careers. They asked us a lot of questions about antibiotic resistance and how antibiotic abuse endangers human health. The Responsible research was a one-day long symposium organized by the LMU Graduate School of the Life Sciences Grosshadern. There was a high participation of graduate students, postdocs, senior scientists and other interested students. Some of the topics that were discussed included some issues in research like: What is responsible research? How can we present data accurately and reproducibly? What exactly is plagiarism, and how can it be avoided? What do we need to know about open science? What is an Ombudsperson? These topics were especially directed for the next generation researchers. There were also keynote lectures from Professor Dr. Joachim Heberle (DFG Ombudsgremium for Science), FU Berlin, Professor Dr. Marcus Munaf (University of Bristol), Professor Dr. Debora Weber-Wulff (HTW Berlin). We also had breakout sessions on Avoiding Plagiarism, Animal Research, Clinical Trials, Experimental Design and Statistics, Image Analysis, Open Science. The program ended with a barbecue dinner and interaction. 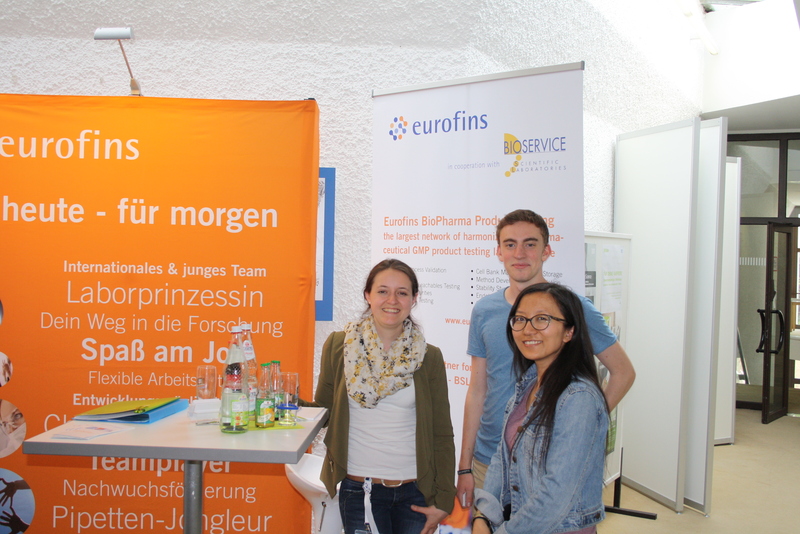 Victoria, Matthias and Sandra from Eurofins Genomics, one of our sponsors, visited us at the lab where we explained them more about our project, and we showed them the equipment and methods we were using. Their impressions along with an interview they did with us, can be seen on their website. 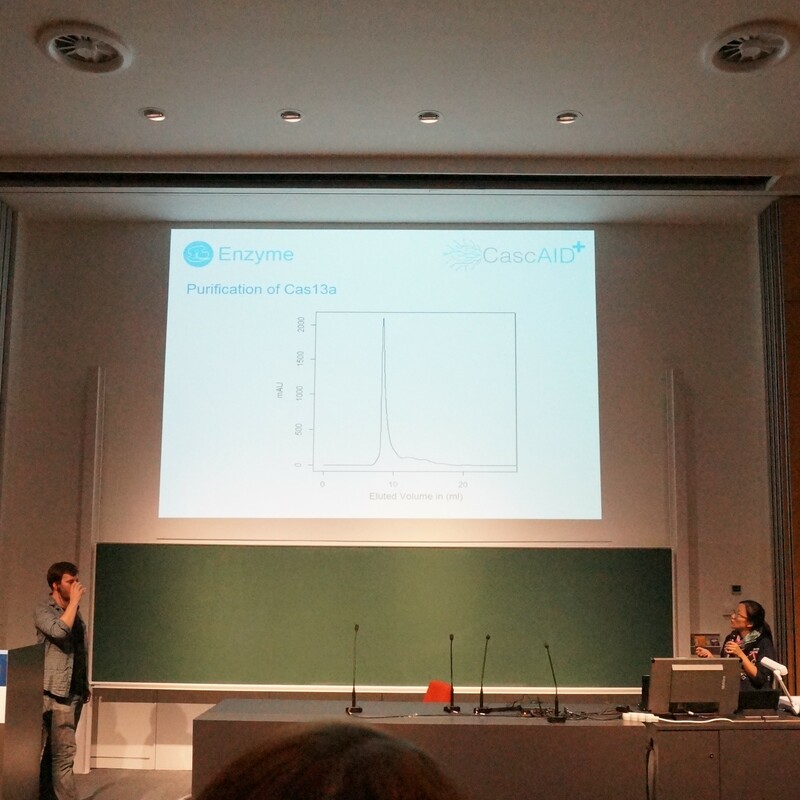 We also presented our iGEM project CascAID to the 8 students of the Amgen Scholars program. Amgen Scholars provides undergraduate students from different fields with the opportunity to engage in a hands-on research experience at some of the world's best institutions. In Europe, there are 5 hosts institutions who conduct the Amgen Scholars Program namely, ETH Zurich, Pasteur Institute, Karolinska Institute, LMU Munich, and the University of Cambridge. The students who were part of the Amgen Scholars program at LMU Munich were invited to a special presentation with us. We answered their queries and gave them more information on synthetic biology and iGEM. Most of them were unaware of both and it was a great pleasure for us to be able to give them some insights into the iGEM world. Many were also highly motivated to hear that iGEM provides such a big platform for students interested in synthetic biology. We believe that the best way of making people aware of synthetic biology and its future perspective is public interaction. Most ethical issues can be overcome by informing the public about the subject. For that sake, we went to the center of Munich, Marienplatz which is famous not only for the locals but also it is a hub for tourists from all over the world. We took our team members along with our camera and survey sheets to ask the public about their view on synthetic biology and modified organisms. We also explained them about our project design and asked them if they would be interested if we had such a device in the market. The people seem to be very excited about it and were willing to buy such simple lab-on-a-chip devices if they become available in the future. You can read the results of the survey here. 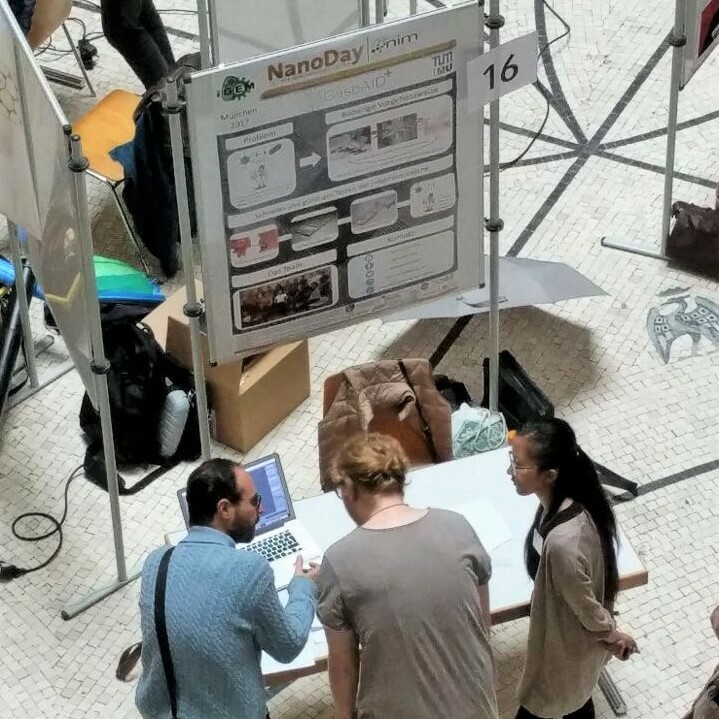 The Nano day is a special program organized annually by NIM (Nanosystems Initiative Munich). Students from different labs working in physics, biophysics, and synthetic biology were present with their posters. The participation of interested people was really high. There were also do it yourself session and displays of different technologies so that the general people and students could try it themselves. A general quiz for everyone was also part of the program and at the end the winners of the quiz were awarded with gifts. There were also talks from renowned professors and researchers on different topics. People showed great interest in our work and were willing to participate in our survey as well. The program took place from 11:00 am to 18:00 pm and was open and free for everyone. 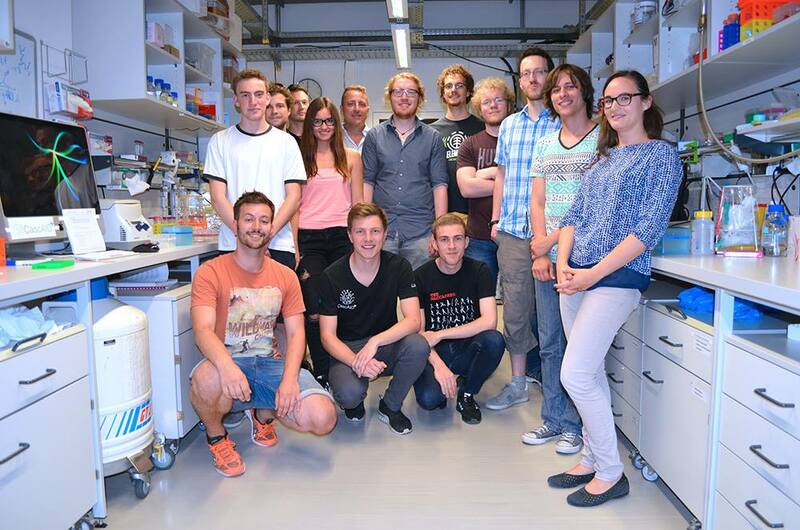 We met with some members from last year´s grand price winning team iGEM Munich 2016 and had a BBQ with them. 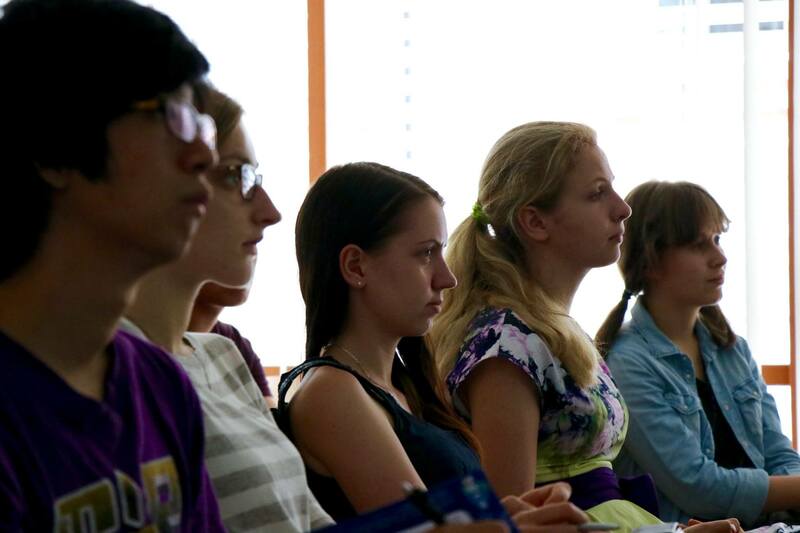 We shared our experiences with iGEM and received some useful tips for the Jamboree. This meetup was organized by team iGEM KU Leuven. They invited different teams from Europe with the idea of practicing the talk and the poster presentation before the final Jamboree. The event started out with a few words from the Vice Rector of Sciences and Technology from KU Leuven, Prof. Gerard Govers, followed by an informative guest lecture by Prof. Jos Vander Sloten. Each team then proceeded to give a short presentation followed by questions and feedback from the audience. The feedback was especially good for our team since we came to know what we were still missing. We also got an amazing and inspirational presentation by the PI of team Leuven, Prof. Johan Swinnen about his phenomenal journey as a scientist and humanitarian. At the end we heard the poster presentations from all participating teams. 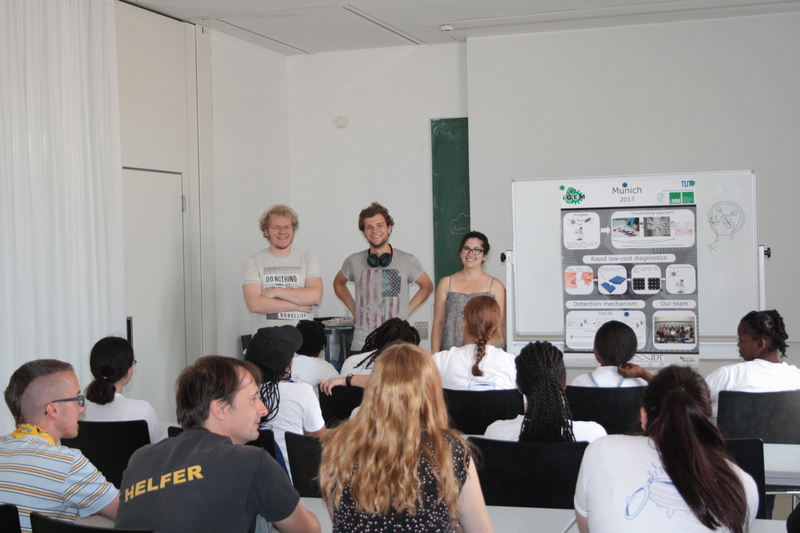 We did a presentation about iGEM and synthetic biology to the first semester students, who started the Bachelor programs of Molecular Biotechnology and Biology at the Technical University of Munich. Around 200 students attended the event and we aimed to motivate them to join iGEM in the future and work in this field. We also did a presentation at the LMU for the new students of the Bachelor in Biology program. 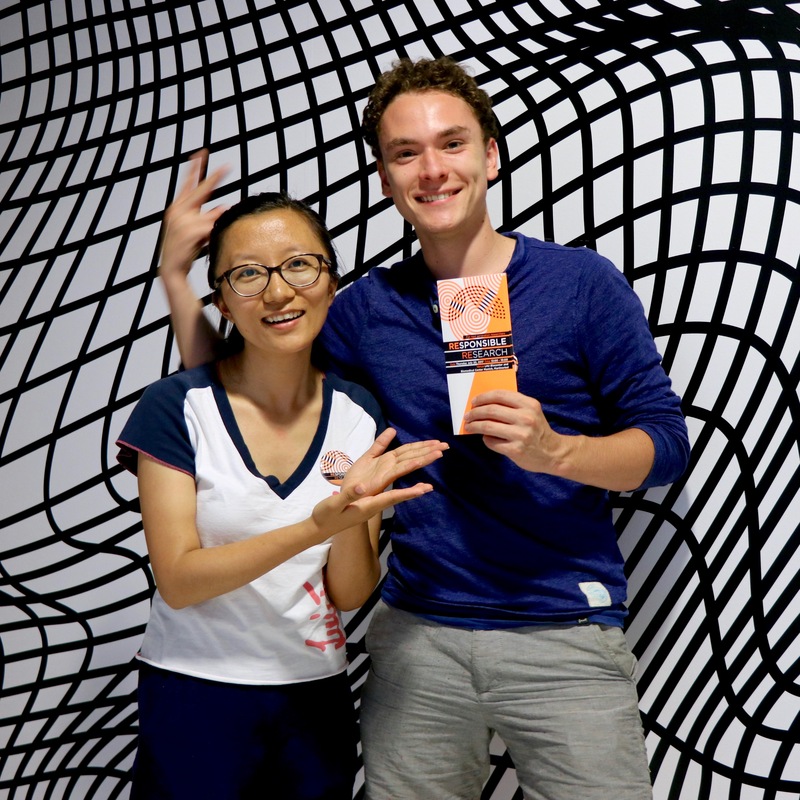 We talked about the iGEM competition, synthetic biology applications, and CascAID. We reached out to over 150 students. Many of them were very motivated afterwards to join iGEM in the future, because of the many potential applications within the field of synthetic biology. 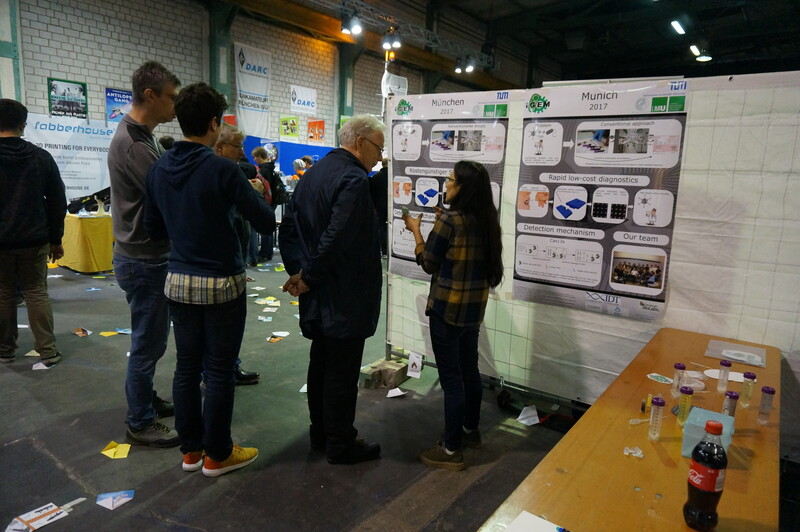 Afterwards, we discussed the future of synthetic biology and also got great positive feedback for our project idea. We hope that some of them will be successful iGEM team members in the coming years.